Tremendous amount of data and information are generated every day and it is important that companies are able to sift through the noise to gain competitive edge and make well-defined decisions. In this context, business analytics is no longer just a buzzword. Understanding what has happened in a business and analysing the available data are key to augmenting a company’s decision-making process and mitigating potential risks. Companies are, therefore, spending millions on analytics and prescriptive analytics refers to the advanced phase of business analytics. Gartner describes prescriptive analytics as a “form of advanced analytics which examines data or content to answer the question ‘what should be done?’. It further says that prescriptive analytics is “characterized by techniques such as graph analysis, simulation, complex event processing, neural networks, recommendation engines, heuristics, machine learning” and deep learning. 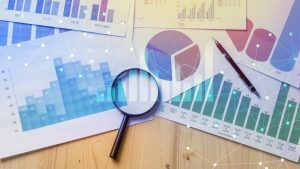 Though prescriptive analytics is an emerging field, it can be a critical tool for recommending the best possible solution for a company. 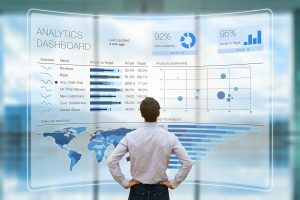 What are the different types of business analytics? Business analytics is a vast domain and several models can be used to evaluate a company, a product, a process or results. For example, while descriptive analytics tells you what is happening now by looking at the sales and revenue figures of a company, diagnostic analytics states why the numbers have increased or decreased, and predictive analytics predicts what is likely to happen in the future by analysing the numbers at its disposal. Prescriptive analytics goes an extra mile and as the name suggests, prescribes what actions can be taken. It takes advantage of the predictions made and provides solutions by recommending what measures a company can take to maximise its profits and goals. It can also suggest multiple courses of action and the likely outcome of each. According to Gartner, the prescriptive analytics software market will reach $1.57 billion by 2021, with a 21% CAGR from 2016. Prescriptive analytics can be implemented across sectors, including IT, finance, manufacturing, healthcare, retail, public sector, government, oil & gas and telecommunications, among others. According to the International Data Corporation (IDC), worldwide revenues for big data and business analytics (BDA) solutions will reach $260 billion in 2022, with a compound annual growth rate (CAGR) of 11.9% over the 2017-2022. More than half of all BDA revenues will go to IT and business services over the course of the forecast, the report said. Hence, it is no longer enough to just predict what is going to happen. 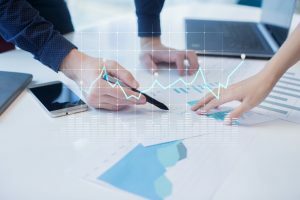 Business analytics should be able to recommend the future course of action and this is where prescriptive analytics is expected to play a greater role to address challenges and increase efficiency.